Fans of Party Poker’s Premier League won’t have to wait for the tournament to undergo a series of post-production edits before they see the action thanks to live streaming facilities. 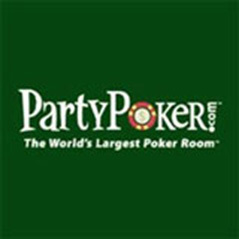 In a recent announcement the organisers explained that for the first time in the event’s history a dedicated live stream will be available at the Party Poker blog. Complete with hole cards, commentary and interactive competitions, the broadcasts will run from 19:00 GMT on March 17th and cover each heat before showing the final stages of the tournament between March 21st and 23rd. Also contained within the announcement was the news that Jason Mercier and Tobias Reinkemeier will join this year’s superstar cast. Indeed, when the action kicks off inside London’s Aspers Casino the action is bound to be exciting thanks to the inclusion of Scott Seiver, Daniel Negreanu, Daniel Cates, Antonio Esfandiari, Tony G, Jonathan Duhamel, Phil Laak, Jennifer Tilly, Luke Schwartz, Sam Trickett, Marvin Rettenmaier, Phil Hellmuth and Dan Shak.